Houston, USA - August 21, 2014 - Boeing (NYSE: BA) recently completed the Phase Two Spacecraft Safety Review of its Crew Space Transportation (CST)-100 spacecraft and the Critical Design Review (CDR) of its integrated systems, meeting all of the company's Commercial Crew Integrated Capability (CCiCap) milestones on time and on budget. The reviews were Boeing's final two milestones in the current phase of its partnership with NASA. The CST-100 is being developed as part of NASA’s Commercial Crew Program, which aims to make crew transportation systems available for low-Earth orbit destinations such as the International Space Station by 2017. Boeing (NYSE: BA) recently completed the Phase Two Spacecraft Safety Review of its Crew Space Transportation (CST)-100 spacecraft and the Critical Design Review (CDR) of its integrated systems, meeting all of the company’s Commercial Crew Integrated Capability (CCiCap) milestones on time and on budget. The reviews were Boeing’s final two milestones in the current phase of its partnership with NASA. Completed in July, the CDR milestone marks a significant step in reaching the ultimate design that will be used for the spacecraft, launch vehicle and related systems. Propulsion, software, avionics, landing, power and docking systems were among 44 individual CDRs conducted as part of the broader review. 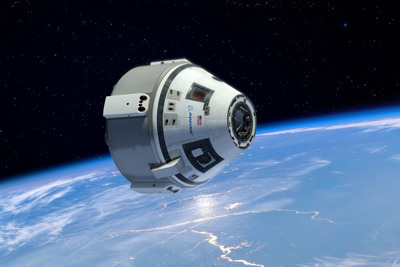 Boeing recently completed the Phase Two Spacecraft Safety Review of its Crew Space Transportation (CST)-100 spacecraft and the Critical Design Review (CDR) of its integrated systems. “The challenge of a CDR is to ensure all the pieces and sub-systems are working together,” said John Mulholland, Boeing Commercial Crew program manager. The capsule could accommodate up to seven crew members or a mix of crew and cargo and features a weld less structure, wireless internet and Boeing LED “Sky Lighting” technology. The Phase Two Spacecraft Safety Review included an overall hazard analysis of the spacecraft, identifying life-threatening situations and ensuring that the current design mitigated any safety risks. A unit of The Boeing Company, Boeing Defense, Space & Security is one of the world's largest defense, space and security businesses specializing in innovative and capabilities-driven customer solutions, and the world’s largest and most versatile manufacturer of military aircraft. Headquartered in St. Louis, Boeing Defense, Space & Security is a $33 billion business with 56,000 employees worldwide. Follow us on Twitter: @BoeingDefense. Lufthansa Conducts Inaugural Flight of World's First Boeing 747-8 Intercontinental Passenger Aircraft from Frankfurt to Washington, D.C. Editor-in-Chief of ASTROMAN magazine: Roman Wojtala, PhD.